For more than a decade, Moz has helped internet companies simplify their inbound marketing programs, most notably through its SEO software. At the core of the company’s personal, fun approach to business is its Customer Success team, whose goal is to foster better, more educated, and long-term users. Fractured outreach, too many tools, no insight: These were ever-present obstacles for the Moz Customer Success team. The group was using five separate platforms to chat with new users, send onboarding emails, message customers within its app, and target its communications. 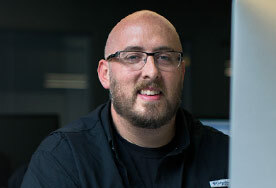 “We were constantly switching context and tools to support our customers,” says Nick Sayers, Director of Customer Success and Support. We never realized how much time we wasted with channel fatigue. 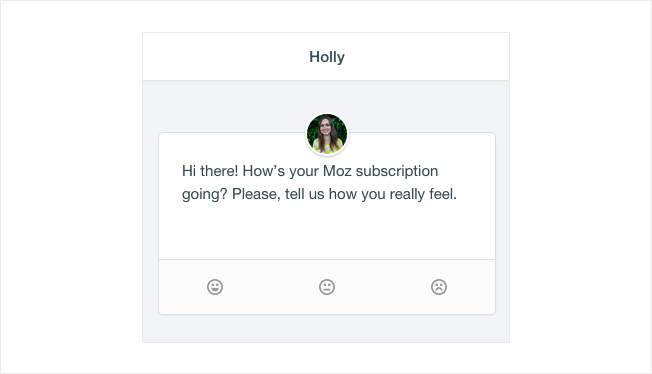 What’s more, the team would soon discover that customers well past Moz’s one-month onboarding program were frequently asking the same how-to questions as their newest free-trial cohorts. There was a real need to streamline product education efforts. 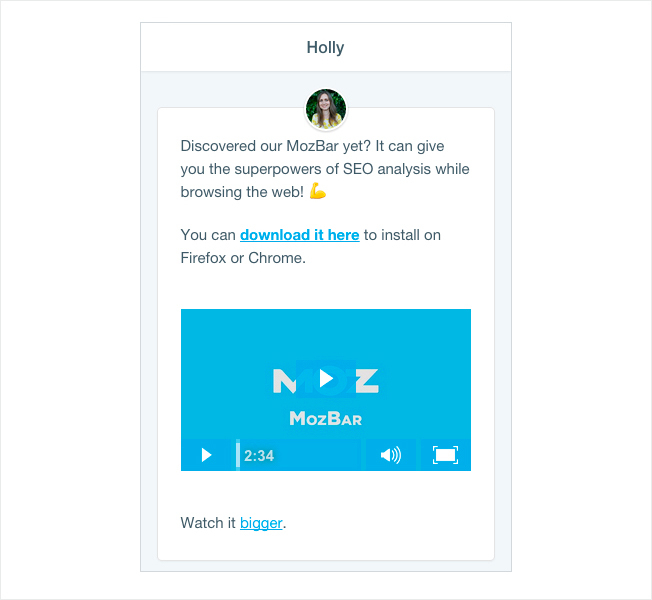 To help ensure Moz’s newest paying customers were confident in using and getting the most from its product, the company brought proactive onboarding to life with Intercom. “We looked at many solutions but most required a steep implementation or were just as fractured as using too many tools,” says Nick. Intercom, however, offered several key advantages: an elegant email and in-app chat experience, lightweight CRM features to target customers, and customer event triggers for gathering product feedback and deploying marketing communications. With an efficient onboarding roadmap now in place, Moz’s data science team began to analyze free-trial users. They sought to define two key audience metrics: a demographic score to predict “qualified users,” which takes information about email domains and previous relationships with Moz, and a risk score, which is based on how well someone is or isn’t using Moz’s tools. Now employing Intercom as its primary channel for support, outreach, and targeting and surveying its customers, Moz was able to cut its medium response time by 70%, all while holding a higher number of conversations. Today the Customer Success team is speaking with more than 3,500 customers per month with a median first response time of just 3.8 hours – down from a pre-Intercom increment of 13 hours. Scaling all these channels into one platform not only made us more elegant with our interactions, it actually helped save the team a lot of time talking to customers. Intercom helped prove that the Customer Success team was actually extending the user lifecycle. “The combination of free trial and Non-Loyal outreach has yielded extremely promising results,” says Nick. 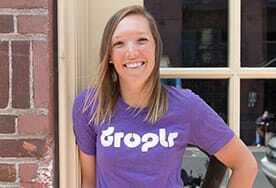 “Customers who engage with our team retain at a much higher rate than customers in the no-touch control group.